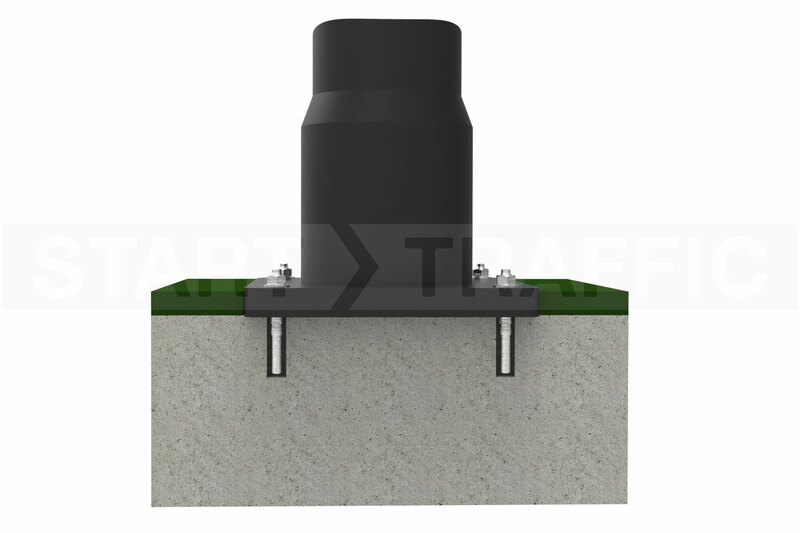 Manchester Bollard | Multiple Fixing Types | Trade Prices! The Manchester bollard is based on a classic design of street bollard originating in Manchester. A domed round top and decorative ridges make this bollard look at home in historic city centres all over the country. Traditionally this bollard would be made from cast iron and painted, however, this modern replacement is made from a durable plastic material that is less expensive and requires little to no maintenance. Use this bollard in city centres and towns to segregate pedestrians from vehicles. Improving safety and demarking pedestrian zones clearly. 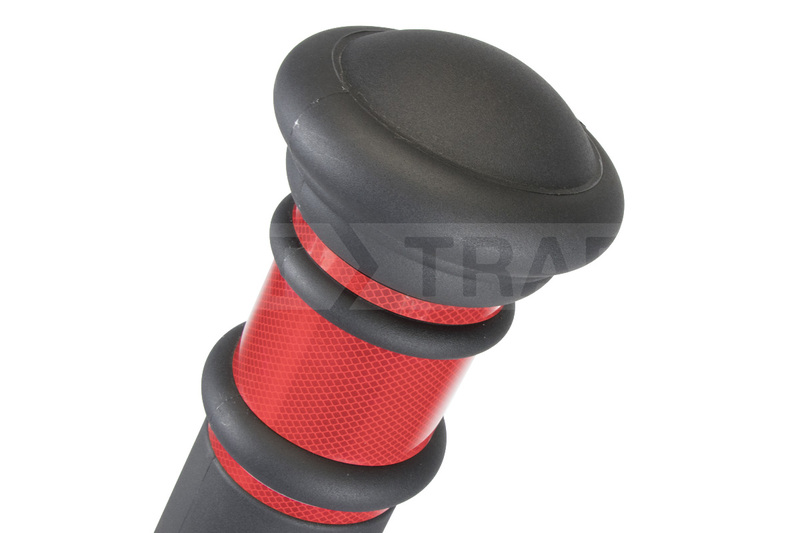 We have many accessories available for the Manchester bollard. These include reflective banding for improved visibility and different fitting kits. 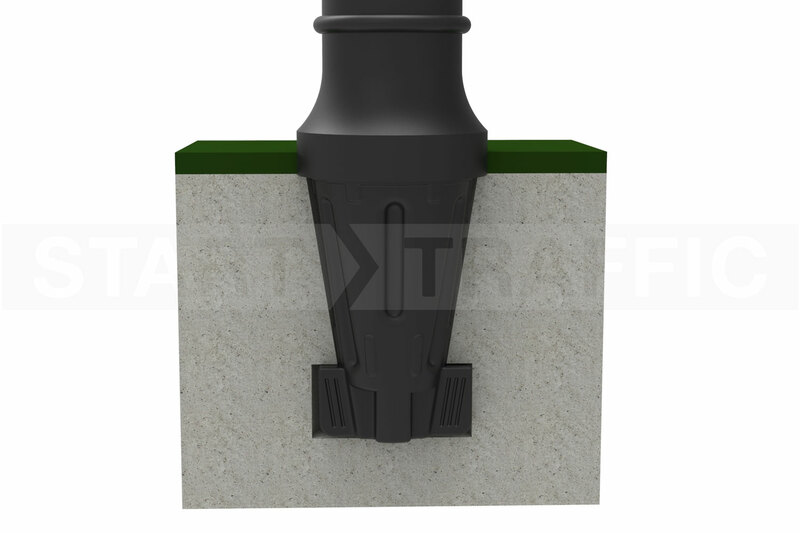 You can purchase this particular Manchester bollard in two different materials which are Icorene and Impactapol. Impactapol is for passive safety applications. This material is flexible enough to stand back up after being driven over by a vehicle, while still giving some resistance. Long term this option is very cost effective for "higher risk" zones. Icorene Is the "standard" material and is a stiffer HDPE material that will still flex to some degree but will not self-right if run over. There is also an anti-ram option available in this material. When buying this manchester bollard, you can select several options. These options include post colour, reflective bands, and anchoring options. Full information on all of these options for the Manchester Bollard can be seen below. Choose which colour of post will look best at your chosen location. 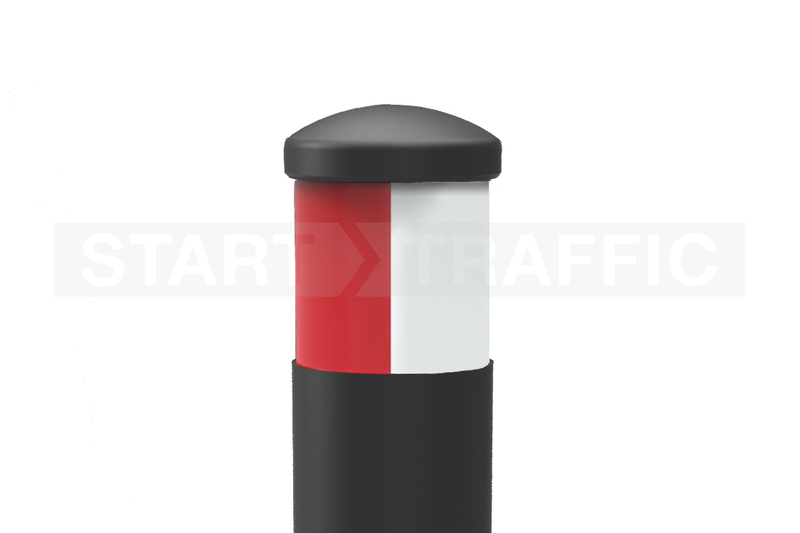 The colour options for the Manchester bollard are white or black, black being the most popular. The fitting you require will depend on your circumstances. We have highlighted the key features of each fitting type below to keep things simple. If you still have any questions, we will be happy to help. 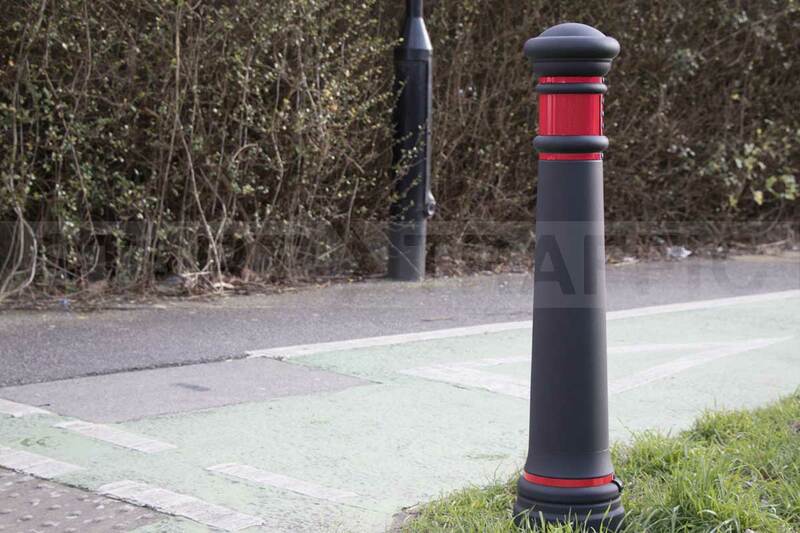 We can produce these bollards with reflective banding to suit your needs. The intended position of the posts will dictate the colour of the reflective banding. There is also an option to have no reflective banding which is common for pedestrian-only areas. The solar dome is only available on the Manchester Bollard. The solar dome is installed in the top of the bollard during the manufacturing process. 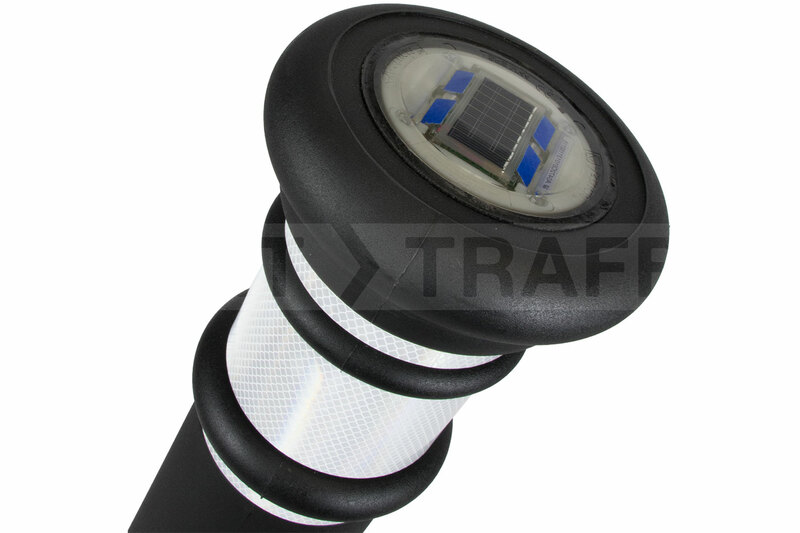 The replacement cap uses small LED's to illuminate walkways and cycle routes. This wayfinding solution is low maintenance and easy to install. It is an effective method of highlighting cycle routes and walkways. 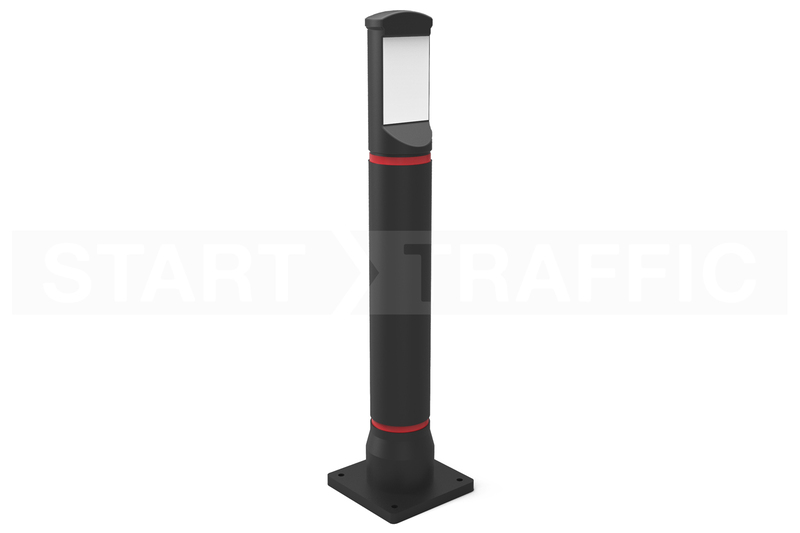 Give our sales team a call to discuss your needs, and they will help find the best street bollard for your need. You can reach our sales team on 01905 794 875 during office hours on weekdays.